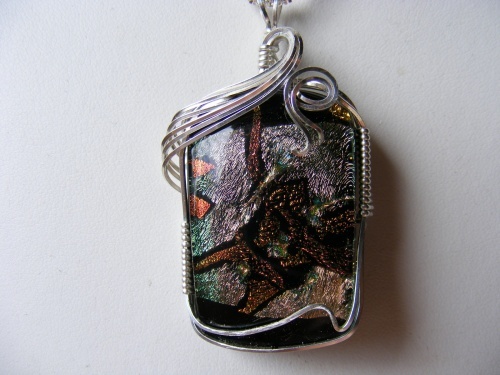 This pendant is truly uniquely designed with the handmade dichroic glass and the sculpting made with argentium silver. Truly and artistic one of a kind pieces. Comes on a sterling silver chain.